Is that the same turkey? Same kitchen, different turkey. I have taken so many photos of “The Turkey” over the years that I have often joked I should have a Turkey Album. This year’s version turned out well. I have had years of practice to get the best tasting turkey and stuffing. We were a bit worn out this year because besides all the usual cleaning, which involves my last minute mad dash to dust, vacuum, swiffer, sort through piles, rearrange assorted belongings, move stuff to our overstuffed garage…we had a new grandchild born. He was born early and has to stay in NICU. He is very beautiful and a fighter. So we wanted to spend time with him and his parents. My husband said that next Thanksgiving he, baby Gavin, will be celebrating with us. We will be very, very Thankful for that. Always love to have my daughter Kate visit and she makes some mean mashed potatoes. And for Traffic Jam Weekend Linky Party #72 hosted by beingawordsmith.com. This entry was posted in Blogging, Blogging Community, Food and Family, My Life and tagged #Traffic Jam Weekend Linky Party, Stream of Consciousness Saturday, Thanksgiving on November 26, 2016 by Deborah Drucker. It’s Turkey Lurkey Time. Time to kick off the holiday season with Thanksgiving, that is Thanksgiving in America. Wishing you Happy Thanksgiving. I want to wish everyone PEACE and JOY in the upcoming season. Here’s something a bit silly from the play Promises, Promises. I hope it gives you a little smile. This entry was posted in Blogging, Food and Family and tagged Thanksgiving on November 25, 2015 by Deborah Drucker. We all have something to be thankful for if we think about it a little bit. 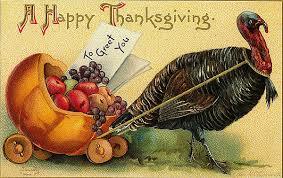 I hope all my fellow bloggers can find that peace today, Thanksgiving Day. I am thankful for many things and here are a few of them. I am thankful for my friends and family. I am thankful for my life and health. I am thankful I live in California. I am thankful I can read books and write. I am thankful for all the nice bloggers I have met. 🙂 Here are a few words from a wise man. 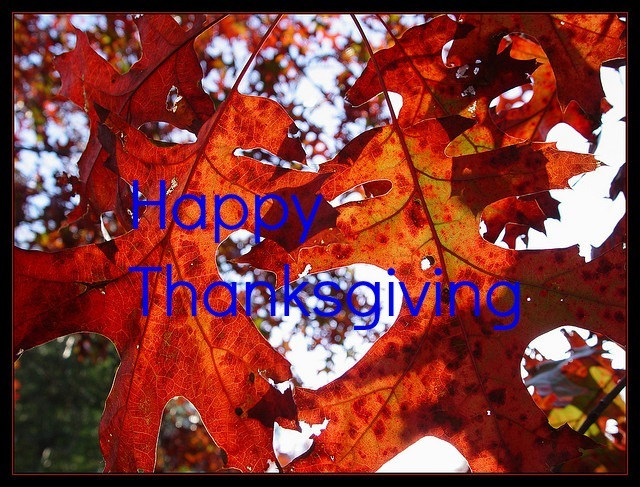 This entry was posted in Blogging, Blogging Community and tagged Blogging, Gratitude, NaBloPoMo, Nano Poblano, Team Pepper, Thanksgiving on November 27, 2014 by Deborah Drucker. Well the countdown clock has started. My husband picked up our Thanksgiving turkey from the market yesterday. We like to get one that is all natural and a hen. We are not having many guests this year. That is fine with me. My kids will be here and a brother-in-law. We have a funny tradition that has developed over the years. Seems like every year we take a picture of the turkey after it comes out of the oven with me standing by it. I told my husband’s Aunt Audrey, who is more like a sister friend, that I should have a Turkey Album to have a record of all the turkeys over the years. The only way you can tell the difference between the photos is that I am getting older. I always want to make the Thanksgiving Dinner here at our house. I think it is because I like my own cooking. I like the way my own food tastes. So we usually have it here. My daughter likes to cook with me now as well. When I was younger, I would usually be the one to do it all. The chopping of the vegetables for the dressing, the sautéing of the vegetables and giblets and making the side dishes. Over the years more and more I have let others bring some of the food and let my daughter and husband help with any preparation that goes on here. I still make the stuffing and stuff the turkey, get it in the oven and watch over it. Last year I made the candied yams. I use fresh yams. My daughter helped with side dishes like the mashed potatoes and a vegetable. My husband chopped all the vegetables for my stuffing and made the fresh cranberry sauce. Our cranberry sauce recipe is a variation on Aunt Audrey’s recipe. She now lives in Australia and has not been able to join us every year like she used to. She always brought her delicious fresh cranberry sauce. My daughter will sometimes make a pie. Otherwise my brother-in-law will buy the pies. I usually buy my bread rolls from a nice bakery. It is much easier and more fun to make it a family effort. Looking forward to a relaxing and peaceful day. Many things to be thankful for. My family and our health are two big ones. Thinking about some fellow bloggers that are having some hard times right now and sending love their way. Celebrating a holiday like Thanksgiving is not just for people who have Norman Rockwell type families if there really are any families like that. I read an article on Next Avenue by a blogger who is estranged from some of his family and he talks about how we can create our own families. I think this is very true we can chose to celebrate with our friends. While we are celebrating with the people we love we can be thankful for them while remembering there are people who are not so lucky. I wish everyone to have peace and love on Thanksgiving. |Nano Poblano| Happy Thanksgiving to The Peppers and all my blogger friends! 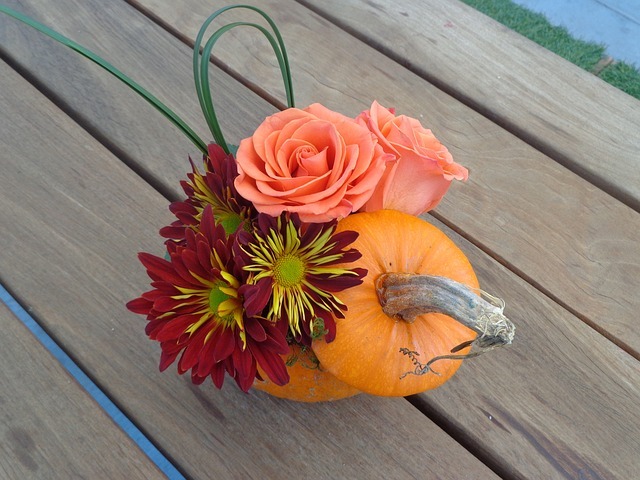 This entry was posted in Blogging, Blogging Community, Food and Family, My Life and tagged Blogging, Family, NaBloPoMo, Nano Poblano, Team Pepper, Thanksgiving on November 26, 2014 by Deborah Drucker.